The American Federation of State, County and Municipal Employees (AFSCME) is the country’s largest public employee union. AFSCME is the largest affiliate of the national AFL-CIO, with more than 1.3 million members and an overall representation of more than 1.8 million public employees in 46 states and the District of Columbia and Puerto Rico. AFSCME is the fastest growing union in the United States, and is committed to achieving employee dignity and improving the working conditions for working men and women throughout this country. AFSCME Local Unions in Southern California are joined together in AFSCME District Council 36 to provide professional field representation, coordinated contract campaigns, political action and organizing. The Local Unions affiliated with AFSCME District Council 36 represent more than 19,000 public sector workers in 58 Local Unions. Members in affiliated Local Unions work for county governments, cities, school districts, special governmental districts and transportation agencies. The Union Representative position provides the full range of representation to members in their assigned areas. This includes assisting, developing, training, and mentoring leaders in Local union administration, grievance handling through the arbitration level, contract negotiations, appearances before governmental councils, boards and commissions, political action, internal communications program, and internal organizing. Provide training and assistance in the administration of Local unions. Provide training and assist leaders in the creation of Local union bulletins and newsletters. Negotiate or assist in contract negotiations, including proposal development, contract campaigns and negotiations skills. Work with leaders in the development and implementation of worksite issue campaigns. Train and assist stewards and officers in representation work, including grievances and disciplinary appeals up to and including arbitrations. Train and assist leaders in the development of political action programs, including assessing potential candidates for office, recruit and train member political activists, and lobbying elected officials. Assist leaders in external organizing campaigns. Three or more years of related work experience. Ability to establish rapport with and organize members in widely diversified ethnic, social and economic groups. Experience in advocacy and leadership. Impeccable diplomatic tact and skill in verbal and written communications. Quick learner possessing strong interest and working knowledge of labor rights and contract language. Extensive project management experience in a high-stress environment. Proven effectiveness in working with Local Union activists. Must be experienced in the use of Internet and Microsoft Word. 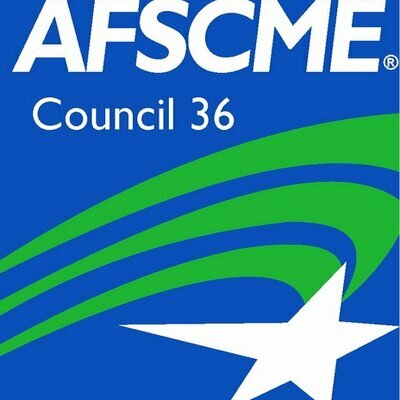 AFSCME Council 36 offers competitive salary and benefits. Council 36 offers a comprehensive benefits package including a defined benefit pension. AFSCME District Council 36 is an equal opportunity employer committed to a diverse workforce.